Dinner at Le Baratin in Paris. 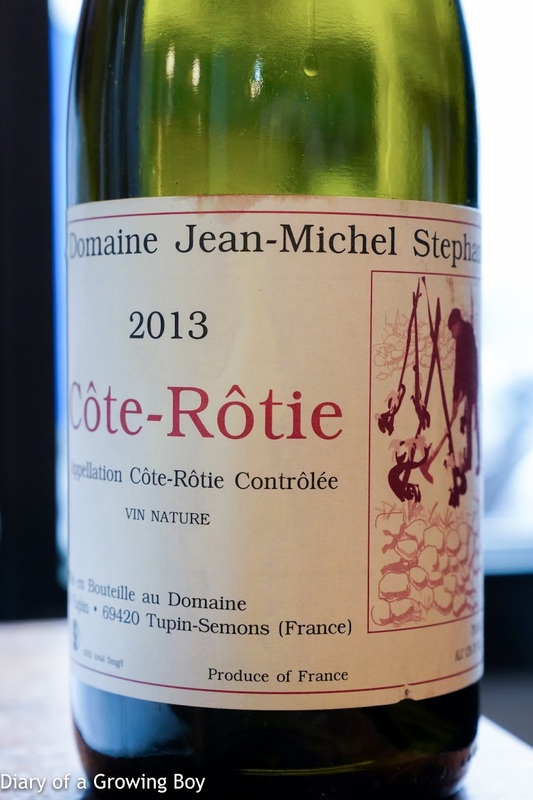 2013 Jean-Michel Stephan Côte-Rôtie - beautiful! Nice nose of black olives, violet, leather, and some eucalyptus. Still tannic, and definitely drunk too warm for my taste.